The narration is good but the writing is abysmal. The character development is done very poorly, and uses way too many clichés. Concepts, like traveling between worlds are introduced as being enormously difficult, but not much of a problem for anyone it seems. I got 2 hours in and that took some effort and I think that is the heart of the problem. In that time I got so many different ideas and characters rushed at me that I never got to enjoy or get comfortable with any one of them. Creative, engaging and very well performed. 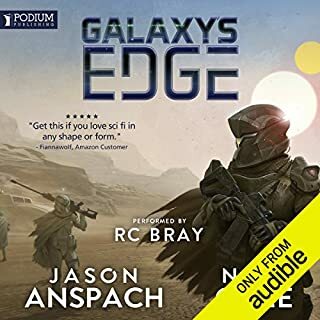 First of a little note to audible: this is a series of 3 books and they should be linked that way. Small oversight but I mention it because I did end up listening to all 3 and am far to lazy to review them all. They are definitely not stand alone books though and a large part of the power of these books lies in the personal transformation the characters go through in the saga as a whole. I enjoyed these books a lot. Barker creates a bleak world, ruled by class structures and religions in which magic and sorcery is seen as the cause of much of its downfall. Of course the main character, Girton, whose story is told using first person narrative, also has magic ability and is both a jester and a fine assassin. Although he is handicapt by a club foot, Barker does not make the mistake of making this about Girton overcoming such misfortune, something I was afraid would happen when I read summaries of the story, but the perception of people he comes into contact with does play a role. 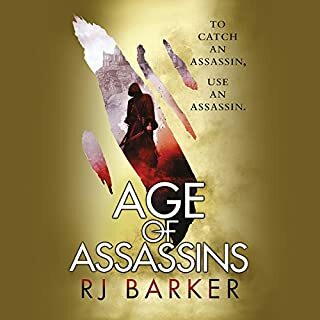 Barker does a very good job fleshing out characters, is strong in her ability to describe scenes of battle and moves through the story at a nice pace. As far as narration is concerned, Jameson is one of the true masters out there and he does an incredible job here as well. Basically, this book is simply only an endless scene of hopeless battle with the equally endless series of clichés. The characters are incredibly flat and the writing is of a level that just leaves me wondering who in their right mind thought that this was worth publishing. I bought it for the narrator. 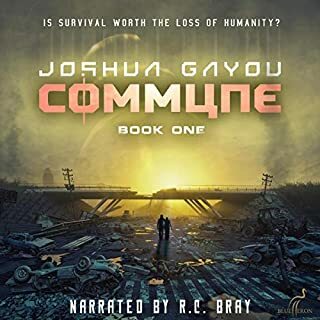 Bray is very good, but narration and good production can't save writing this bad. There is more that one book/story here but an hour into the second one I simply gave up. Mayne is not really a bad writer but you have to be in to first person narrative stories where the author never stops yammering about his feelings and insecurities. I am not so the book simply didn't do anything for me. The narration is fine; the story isn't even bad but the character development achieved here mainly through endless insights into how the character feels with a heaping serving of both guilt and intellectual infallibility is simply painful. Ended up skipping through large parts because it got too much for me. I rate this book high even though the first thing that comes to mind is that the writer really didn't bother much with original concepts. Post apocalyptic world and a community gets rebuild. It has all been done, with some very good result ("the Stand" and "Lucifer's Hammer" come to mind as 2 books I enjoyed a lot) . But it is done seriously well here. 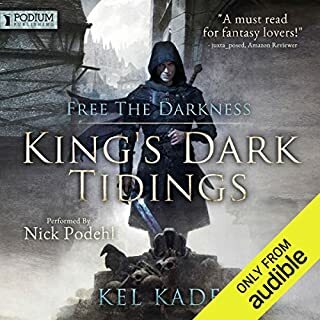 I listened to both books in the series that are out on Audible and I think the main strength of the author is that he manages to take you through a whole range of emotions and doesn't over dramatize the despair. There are a lot of violent scenes and he describes them well. The characters are well developed and using first person narrative on each of them is a technique that works well here. 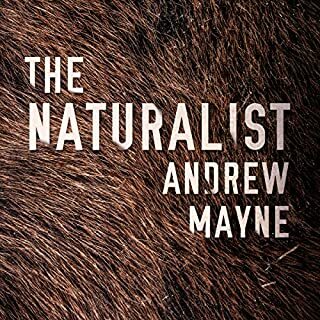 The narrator is simply brilliant - great voice and an outstanding reader. I will look for him in other books. One of the best narrators out there is totally wasted on this. The biggest problem with the book is simply that it constantly repeats itself - introduce a new character who is an old friend and you can reliably count on an act of betrayal, everyone gets abducted at least once, every safe space is instantly compromised etc, etc. By the time I got through the first couple of chapters of book three I simply gave up. It all got far too predictable. 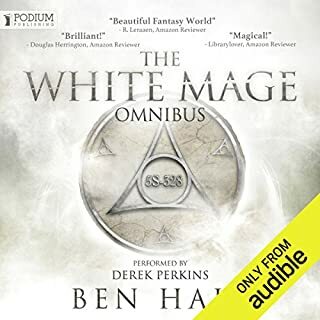 On the bright side, and the reason it gets 2 stars instead of the minimum, the narration, production and the value for such an omnibus are all very good. Often an omnibus is a good way chance to take a chance on an author and note that there seem to be many that did enjoy the series. Brilliant narration and very good writing. 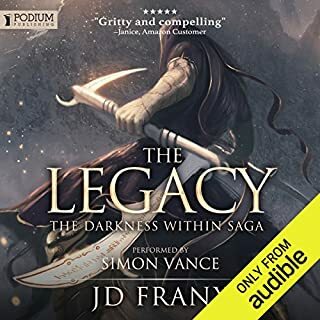 Audible suggested this book to me as a "based on your previous purchases" thing several times before they actual got me to bite. The reason is simple. To me, when I read it is about magi and dragons, I immediately think that this is probably a book that used every cliché of fantasy fiction and lacked any creativity. Well, you can add demons and benevolent queens to that list and yup, I was right. And yet I truly enjoyed listening to it mainly because although there is very little here that is all that creatively original it is written with tremendous skill. The character development, the pace of the story, the dialog - it is all simply very well done. 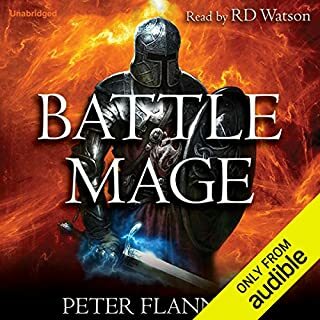 Not sure how much of my enjoyment should be attributed to the writer because I also have to say that RD Watson could narrated a phone book and make it work. He is simply that good! Overal though, a great listening experience and a very good use of a credit. A well crafted saga, very well narrated. Let me start by saying that purchasing this was a bit of an accident; only after I added it to my library did I see all the references suggesting this was aimed at young adults and should have been marked as such. I am way past that and didn't hold out much hope but things turned out to be a pleasant surprise. Ben Hale is simply a very good story teller. His characters are, despite their magical abilities, recognizable and easy to identify with and the books have great pace. 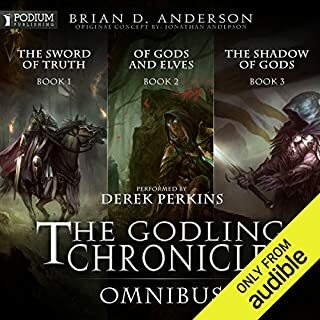 To round things off, Derek Perkins is easily one of the very best narrators out there and the reason I ended up looking at the book to begin with. The job he does here is once again superb. A further note should be that you are getting 3 books here for one credit! I thoroughly enjoyed the book, it is well crafted and extremely well narrated. Yes, the hero has abilities somewhere north of superman but I don't mind that and at times the naivety he has from his isolated upbringing sets up situations that are cute and funny. My one big warning about the book would be that you are in for a writer who seems to have an odd view of women. Virtually all of his female characters are emotionally insecure, jealous, petulant and smitten with Reskin to a point that after a while gets a bit irritating. Lots of good action and there seems to be a decent story developing so I picked up the rest of the series anyways. I will definitely try listening to other books by the same narrator. 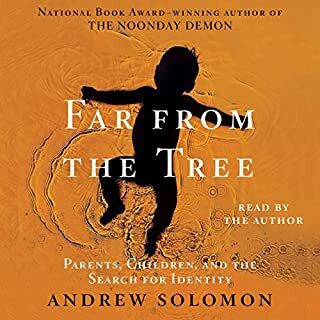 Andrew Solomon is the kind of non-fiction writer that is extremely rare these days. He does not set out to force his opinions down your throat nor preach simplified solutions to complex problems. He simply describes the worlds that people with what he refers to as horizontal identities have to deal with and how this world affect those around them. While doing so he devotes chapters to various groups of such identities. A horizontal identity here refers to one not passed down from the parent and can be a physical issues such as deafness, dwarfism, downs syndrome or a social one like criminality. He goes into transgender issues and schizophrenia and you feel listening to it that each of these chapters could have been a book in itself. The strength of the book is his ability to relate the stories behind the issues; he has an amazing gift for making the people real and through listening to him you really do share in their struggles and triumphs. He rarely judges them but describes many of the ethical issues parents in particular have to deal with.